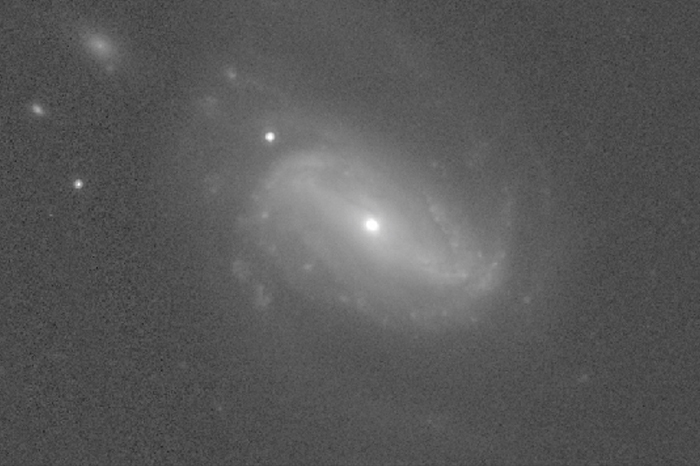 Scientists use a giant eye in the southern sky to unravel how galaxies are born. In the rocky, dry hills of the remote Karoo of South Africa, the Khoisan people native to the region tell an origin story of the Milky Way. A small girl, dancing around a fire, throws embers into the deep black sky. There they remain, a blaze of light stretching horizon to horizon. A perpetual fire burning in the sky. Located in Sutherland, South Africa. Operational since 2005. Administered by South African Astronomical Observatory (SAAO), located in Cape Town, on behalf of the SALT Foundation. 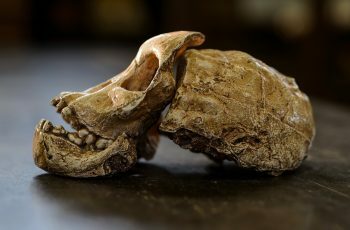 Funded by the South African government and a consortium of institutions worldwide including UW–Madison. UW contributes 16 percent of the telescope’s budget annually. 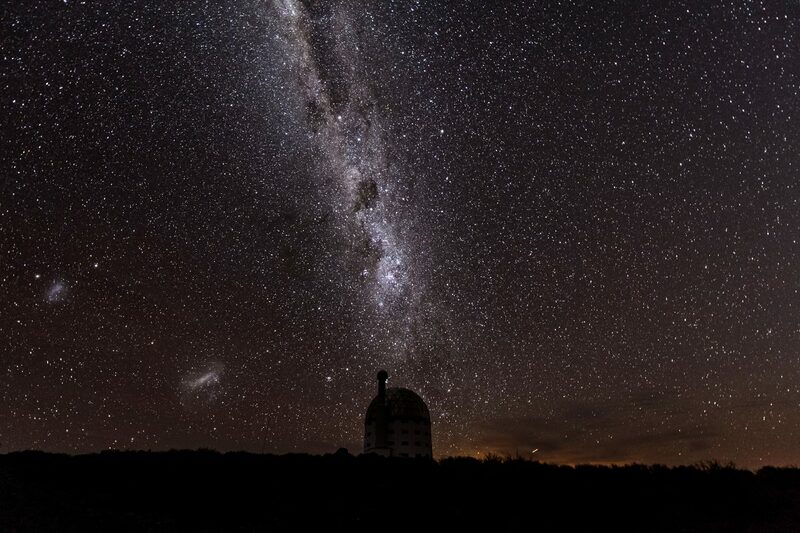 The Southern African Large Telescope (SALT) was built to gaze into these skies, from atop a plateau nearly 6,000 feet above sea level, in the small village of Sutherland. Astronomers use these whispers, this light, to help them understand how planets, stars and galaxies like our own Milky Way form and behave. By collecting light from objects distant and near, scientists can record the history of our own celestial origins. The more light they collect, the farther back in time they can see. This is what first brought UW–Madison faculty, staff and student scientists to SALT — the largest optical telescope in the Southern Hemisphere. 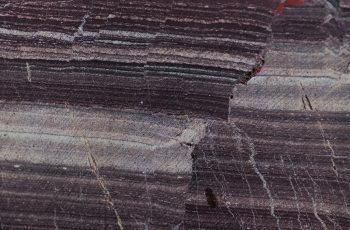 Outside of the South African government, UW–Madison is the largest partner in the endeavor to operate and maintain SALT. Astronomers like Wilcots are using it to access these dark skies, providing expertise and administrative and financial support while also gaining commensurate time on the telescope. The Milky Way (spanning across the top) and the Large and Small Magellanic Clouds (at bottom) appear in the night sky above SALT. SALT was optimized to study the Milky Way’s nearest neighbors, two galaxies called the Large and Small Magellanic Clouds. They are visible only in the Southern Hemisphere. Astronomers can use these galaxies, Wilcots says, to “get a sense of both the forest and the trees” because they are “close enough we can resolve individual stars, but far enough away that we can see how the whole ecosystem of the galaxy works.” He has studied these two “satellite” galaxies for decades. He and other scientists use SALT to study the gases that swirl in and among these and other galaxies. As hot gases cool and condense, they form stars. The most massive of these stars live short lives and die explosively, in a phenomenon called a supernova. In an act of celestial recycling, these explosions return gas to their galaxies, and they produce new elements like gold, seeding the environment with the materials necessary to form planets. Julie Davis, a graduate student in Wilcots’ group at UW–Madison, studies this cycling of materials in galaxies by investigating the circumgalactic medium: the large reservoir of gas that surrounds them. Understanding how materials enter into and escape a galaxy through this region is crucial to understanding a galaxy’s metabolism. This in turn helps researchers discern the evolution of galaxies like our own Milky Way. Typically closed during daylight hours, the shutter at the top of the telescope’s dome opens each observing evening to allow the telescope to collect light from objects of interest in the night sky. The dome rotates to allow the telescope to access different parts of the sky, and to track objects as they move. SALT achieves this with an 11-by-10 meter array of hexagonal mirrors, 91 in all, aligned perfectly with one another along a geodesic truss at the base of the telescope. It forms a near-perfect sphere. The telescope is purportedly so powerful it can see the flicker of a candle on the moon. The telescope’s dome measures 82 feet in diameter and weighs about 30 tons. The dome’s shutter opening allows light into the telescope, while the entire dome can rotate to align it with different parts of the night sky. The optical payload houses the instruments used to analyze the light. The primary mirror array captures light and reflects it into the payload. Metal struts support the payload and tracker, suspending them 50 feet above the mirror. The tracker moves the payload into alignment with the shutter opening. The optical payload houses the instruments used to analyze the light. The primary mirror array captures light and reflects it into the payload. Metal struts support the payload and tracker, suspending them 50 feet above the mirror. The tracker moves the payload into alignment with the shutter opening. The tracker positions the payload so that light reflecting off of the mirror can be directed to one of the instruments for analysis. The primary instrument on SALT is the Robert Stobie Spectrograph, designed and built by UW–Madison scientists and engineers. Each of the 91 hexagonal mirrors is a meter in diameter and can be independently positioned. A geodesic truss at the base of the telescope maintains the proper shape and alignment of the mirrors. All 85 tons of the telescope rest upon a large, flat concrete ring called a pier. The entire structure is held by a central pivot so it can rotate 360 degrees and remain aligned with the dome’s shutter opening. The light collected by the telescope’s mirrors passes through an instrument on the telescope known as a spectrograph, which “is to an astronomer as a scalpel is to a surgeon,” says SAAO astronomer Lisa Crause. Spectrographs are essentially sophisticated prisms that split white light into its component wavelengths, from red to green to indigo and beyond. Once the light from a source like a galaxy is split, astronomers can gain valuable insights into the object being observed, from its composition to its age, distance, and even how its individual parts might be moving. Long gone are the days when astronomers climbed mountains to spend long, cold nights observing stars and galaxies. Modern astronomers are more likely to comb through terabytes of data sent digitally from the remote observatory of their choice to their personal computer. While pictures of galaxies and planets from telescopes like the Hubble Space Telescope continue to capture the public imagination, spectra — slivers of the electromagnetic spectrum — are the currency of much of astronomy. They impart far more information (chemical composition, distance, motion) than any pretty picture. While today’s astronomy has lost some of its romance, that is more than compensated for by the flood of data astronomers are able to gather from the night sky. 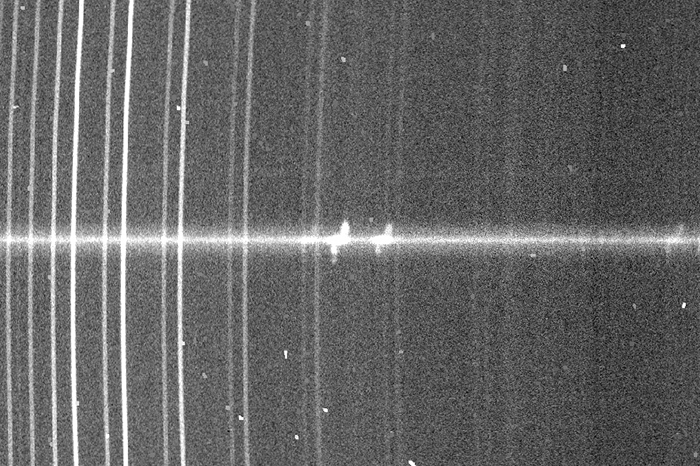 A view of that same galaxy, this time a two-dimensional raw image recorded on the detector of SALT’s spectrograph. This helps show astronomers the composition of the gases in the galaxy – hydrogen, nitrogen and sulfur – based on where the S-shaped images line up on the electromagnetic spectrum. The S-shape arises from the galaxy’s rotation, with slow rotation appearing more like a straight line and fast rotation more S-shaped. Astronomers around the world compete for time on SALT by submitting proposals. If approved, software determines the best conditions to capture their desired data. Seeing the flashy-white dome dotting the sparse, semi-desert horizon as she approached it by car rendered her nearly speechless. As she entered the ground floor of the immense dome harboring the mirror array and the spectrograph, suspended 50 feet above it, Davis shook with excitement. Wilcots and Davis take in the immensity of the telescope. Davis, who collects data from multiple telescopes around the world, has used SALT since early 2016, averaging between three and six hours of sky time each semester. Because UW–Madison is the second-largest partner in SALT, UW astronomers are afforded more time for data collection. “Everything in astronomy is a giant optimization problem,” she says, given the choreography involved in scheduling time on SALT and other telescopes in order to take advantage of a coveted window into the universe, to get a glimpse at a minuscule piece of the fabric of our origins. UW–Madison was first invited to be involved at SALT because of its long history of expertise designing and crafting astronomical instruments. “We were the first place known for doing photoelectric photometry, a technique for measuring the amount of light in the galaxy and quantifying starlight,” says Wilcots. UW–Madison astronomy professor Joel Stebbins pioneered this technique in the 1920s and ’30s, utilizing the photoelectric effect: the concept for which Einstein won his Nobel Prize. UW–Madison instruments also took some of the earliest trips to space — on the experimental NASA X-15 aircraft and on the Orbiting Astronomical Observatory launched in 1968. The university has developed instruments for Hubble and for two space shuttles. Stebbins helped recruit the faculty who would become leaders in developing and advancing astronomical instrumentation. Among them was Kenneth Nordsieck, emeritus of the UW–Madison astronomy department and the original designer of the Robert Stobie Spectrograph (RSS), named for SAAO’s former director. Stobie’s vision and direction led to SALT, but he died before the project was complete. The spectrograph was built in UW–Madison’s Space Astronomy Laboratory and today, members of the laboratory, like senior scientist Marsha Wolf and engineer Mike Smith, are finalizing the next-generation instrument, which will allow astronomers to gather data from the near-infrared part of the electromagnetic spectrum. Crause is assisting with that effort, because as part of its partnership with SALT, UW–Madison is helping to advance astronomy in South Africa. Since the fall of apartheid more than two decades ago, the nation has embraced astronomy as one of its scientific pillars. Ultimately, local scientists like Crause will lead the charge in forging its future. “We are in the thick of trying to plan the next generation instrument now,” she says. For decades, until apartheid formally ended in 1994, black and “coloured” people in South Africa — nearly 90 percent of the nation’s population — were systematically denied quality education and jobs. The country has changed dramatically since, and UW–Madison has helped to create more opportunities for the people once left behind, training science teachers and the next generation of South Africa’s astronomers and astrophysicists since the telescope was first commissioned in the early 2000s. For instance, UW–Madison helped bring South African science teachers to Madison under its Wisconsin Teacher Enhancement Program, which offered summer science and health courses. Astronomy, Davis says, is a “gateway science for getting kids hooked … to get them interested in physics or geology or biology.” And one of the original goals at SALT was to build an observatory that belonged to the people. It’s working. Despite its remote locale, SALT hosted more than 3,100 visitors in July of 2017. The sun rises over the Karoo, a semi-desert region near Sutherland, South Africa. Its clear skies and distance from city lights make it an ideal site for astronomical observation. The route from Cape Town to Sutherland passes through Stellenbosch wine country, which benefits from the region’s Mediterranean climate. Several smaller telescopes are pictured along the road leading to the Southern African Large Telescope. A boy pauses on his bicycle in Sutherland, South Africa, a small town with a population of under 3,000. SALT has helped create a tourism industry in Sutherland that employs some of the local people to operate the telescope and run its visitors center, as well as the hostel that hosts visiting astronomers. The economic impact of the observatory has helped increase access to medical care, internet banking centers, and more. For Davis, pursuing astronomy has meant being able to follow her dreams. She has long been enamored with space; exploring it fulfills her curiosity. Her work has brought her to telescopes all over the world and allowed her to collaborate with people across the globe.